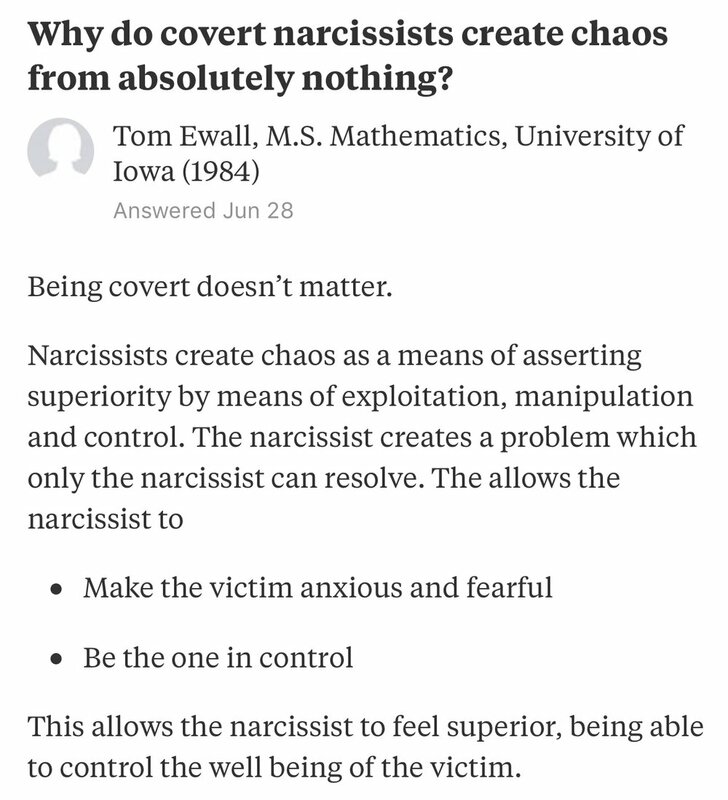 It can be said that narcissists create chaos so they can institute their deceptive brand of control. 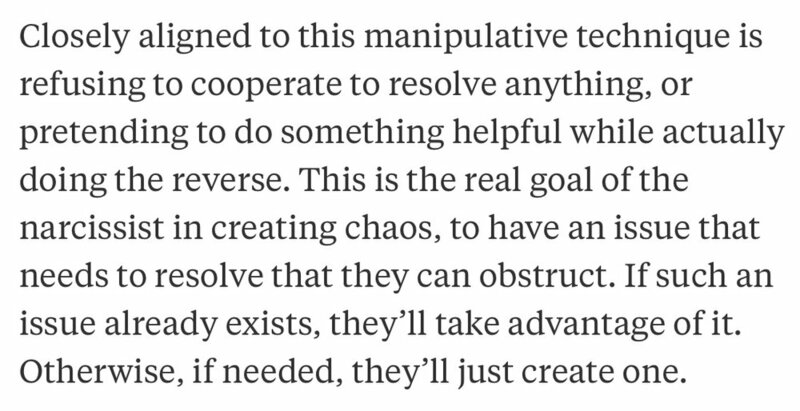 Narcissists hide behind religion and government and anything you might trust. Know their game.